WOW GREAT PRICE REDUCTION! Why wait to build when you can own this beautiful upgraded "Monaco" model now! 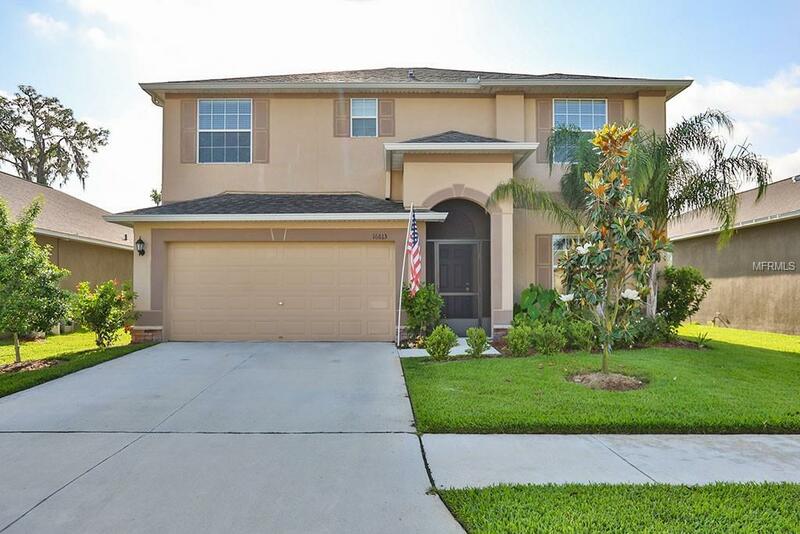 Conveniently located in the newer subdivision of Vista Palms, this lovely two story home is situated on a premium lot with both water and wooded views. So come today and view this versatile floor plan that boasts over 2500 square feet of living space, has tons of storage and plenty of room for everyone. You will love the gorgeous kitchen with 42 inch cabinets finished with crown molding, GE Stainless appliances, beautiful granite counters and a large center island with more granite. The dinette is wide open to the family room and has great views of the beautiful backyard. When entertaining, the living/dining room combination is the perfect space. Wander upstairs to the huge 4 bedrooms and 2 full bathrooms. The master suite features more granite counters, a garden tub and separate tiled shower, plus a large walk in closet. The second bedroom is large enough to be used as a media room or bonus room. For your convenience the laundry room is located near the bedrooms so doing laundry is a breeze. When you want to relax, retreat to the covered screened lanai and enjoy the peaceful and tranquil surroundings of this beautiful home. Come and see this beautiful home today, you won't be disappointed!